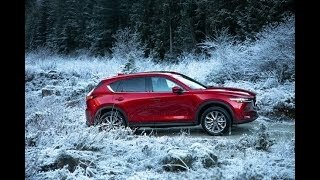 Mazda has long been credited for building cars that reward driver engagement, and it has recently earned a reputation for adding upscale features at relatively bargain prices. 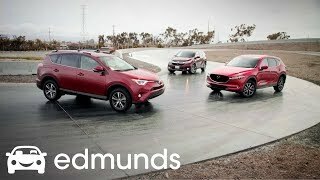 With the 2019 CX-5 Signature, those two roads have met. A supple leather interior with wood and chrome accents, convenient tech like Apple CarPlay and Android Auto, and an engaging driving experience all mix together, resulting in a car ready to steal market share from established premium automakers. But will it succeed? 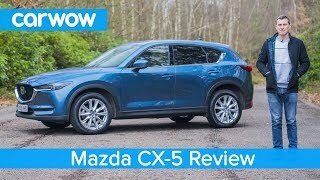 The Mazda CX-5 seems to have everything a luxury-car buyer would want, except for an expensive logo on the steering wheel. So, while Mazda may be fully capable of building a premium vehicle, there is a final question left to answer: Will consumer perception of the Mazda logo keep it off shopping lists filled with Acuras and Infinitis? Paint chipping,not reliable piece of shi..customer support dont exist. Did you use winter tires on this vechile? Could you manually force AWD system to engage rather than relying on some unreliably "intelligence"? 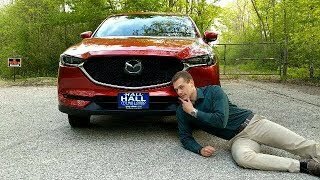 Do mazdas have ford parts on them???? Not interested if they do! I want nothing to do with a ford!!! They stopped working with Ford a long time ago. Not sure about the parts, though. I wish it had a bigger screen and a panoramic roof.... 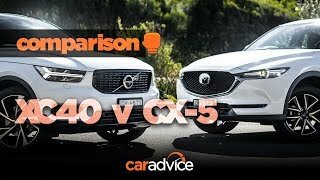 I may just go for the xc40. Lexus front is too ugly to even consider. Difficult on my mind and ears to get through this video. We are the talented people? 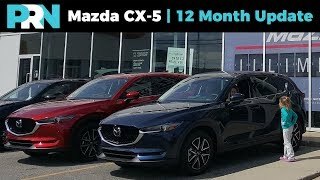 41K for this, 33K for the CX3 high end version. Not your fault, this is what they give you to review but I'd rather see the more affordable versions. I'm looking at buying one. Can anyone tell me about cabin noise and bump absorption? I want a quiet cabin and something that's a smooth ride. Thanks. I'd like to know how mazda is in reliability and quality. Anyone know where I can look or read up on? Rav4 2019 or this one? If it’s direct injected, which I suspect it would be, it would be wiser to buy premium fuel since many of them have detergents to clean the valves better. In a direct injected engine the fuel and added detergents don't come in direct contact with the valves. That is, in fact, the main reason of carbon buildup, regardless of the fuel you use. A bargain shopper won’t cross-shop with a luxury brand. I just love this car it's the perfect size for me, the interior is beautifully laid out and it seems to perform very well in every surface. Car & Driver just tested CX-5 2 5t 0-60 mph at.6.2 seconds. That is about a half second faster than the RDX 2.0T. I'm currently drive a Lexus ES but looking to move into the SUV world. 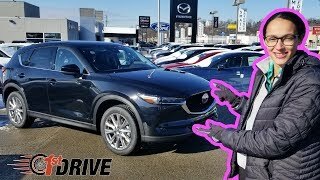 I drove the CX-5 and really wanted to love it. I thought the features were great and it was a fun car to drive but it rode very rough. I've driven the new Rav4 which drove smoother but was not a peppy as the CX-5. I may stay with the Lexus NX but will admit I'm a bit aggrevated with Lexus that some features such as rain sensing wipers are not available on that model. One would think when spending $45,000 that would be standard. It's just hard to top the reliability of a Lexus. 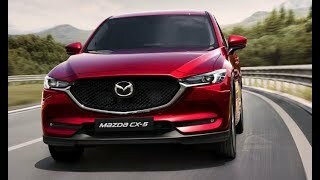 But I haven't completely decided against the CX-5 just yet. That was a really good review! 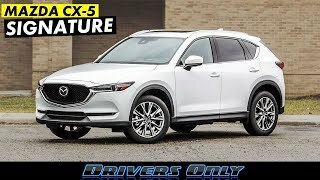 I am cross shopping the CX5 against Porsche, Infinity Lincoln, Acura, Mercedes, and Lexus. SO YEAH the Mazda with the signature series is FREAKING KILLING IT! It looks like it is by far the best bang for the buck. The CX9 has even nicer interior so add that one to the list of cross shopping lol. +Ben Lisi Yeah the price is far superior too ! +Ben Lisi says who? It's my money and those are the brands I'm comparing. 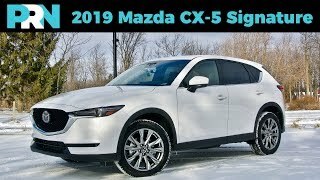 Maybe you should look at the cx9 signature. As I said, for the money the Mazda wins. Isn't it the law in Canada that cars are required to have snow tires in winter? If so, then the review should have mentioned that, since the ride, road noise, and handling would all be affected for this test vs. testing with the standard tires. Ontario does not have a winter tire law. Many of us have them though. Differs province to province, but I believe only mandatory in Quebec. 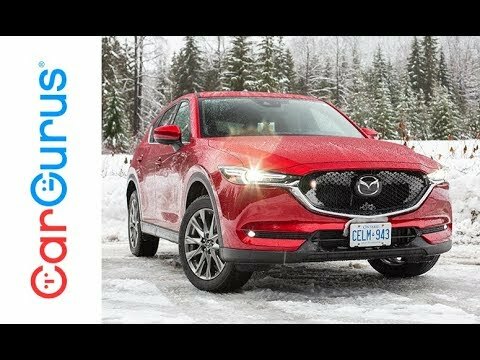 The test car was registered in Ontario, (based on the plates), where I believe the only mandate is that drivers using winter tires must receive an insurance discount. Good job, Mazda. 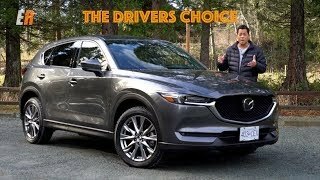 Haven't driven the new CX-5 but I've driven both the Mazda6 and the CX-9 with the same engine. I suspect its best application may be in the CX-5. The CX-9 is simply huge with a terribly inefficient allocation of interior space. (Less than the Kia Sorento that's over 10 inches shorter.) 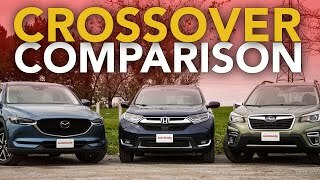 Furthermore, most of its competition (other than the Subaru Ascent) offer naturally aspirated V6's, engines that are better suited to the larger midsize CUV category. 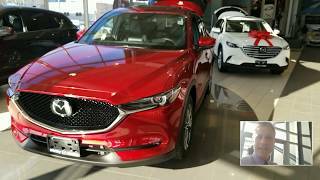 In the Mazda6 the 2.5L turbo does a good job but there the competition from the Honda Accord 2.0L turbo, a version of the engine in the Civic Type R, and naturally aspirated V6 Toyota Camry is stiff. 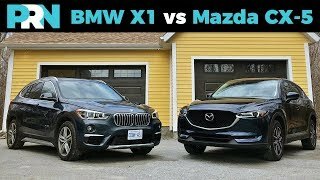 The Mazda is undoubtedly superior to the earlier versions of the Accord and Camry but in terms of performance it trails both the new Honda and the Toyota. As nice as the Signature trim of the CX-5 is, I suspect it's a pipe dream to think it will steal many sales from the Acura RDX. Customers seriously shopping for an RDX won't be deterred by the price premium, especially in view of the more upscale interior, more room, and better dealer experience with the Acura. More likely it will make a dent in Honda CR-V and Toyota Rav4 upper trim sales where the price points are roughly equivalent and the Mazda's engine is arguably superior. 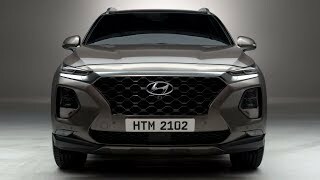 The most credible rival is likely to be the Hyundai Santa Fe. 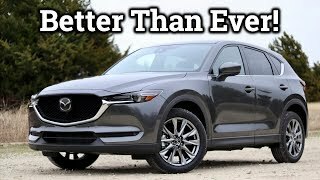 Its "tweener" size offers more utility than the smaller CX-5 and in its "Ultimate" trim, it comes close to the Signature trim of the Mazda with better infotainment, a panoramic sunroof, a center locking differential, and a variety of other innovative features. 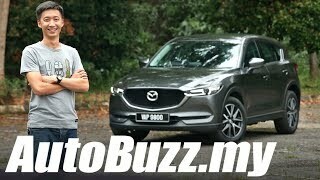 On the other hand, the Mazda is likely to handle better especially considering that its several hundred pounds lighter than the Hyundai. And while styling is obviously subjective, most, I think, would agree the Mazda is more attractive. Mazda 6 turbo is not even comig close to the "old" Accord V6 in terms of performance. The new Accord 2.0t barely edges the V6 sedan thanks to the slick 10 speed. billy fatbowe it’s crazy you have to pay that much for all the features. At that price you can get a 2 year old RX350 or GLC300. Blake Swan Ford makes great trucks. They are the leader in that segment. They aren’t just for white trash either. Great review, didn’t know about the consistent torque regardless of octane or how the turbo is precharged using the inlet size. I bought this car instead of the qx50 and I’m glad. Feature by feature it compares plus no cvt transmission. +Lois Casey Git the same color, nice car. The Mazda is super in snow and I don’t have to stop for gas. it would be nice if it has a Manual option for this Car. Come to Hungary, you'll get manual up the gazzoo !!! I had a hard time getting an automatic here !!! They are all nuts about manuals here in Europe.. and there is absolutely no reason anymore with today's automatics. In many instances they beat the stick shifts, and they are not a pain to drive in the city, which is usually most of the driving anyway. 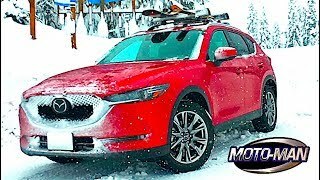 2019 MAZDA CX-5 - the WINTER TEST-DRIVE of the SUV !! !